Superdry women's Sienna graphic top. For when the dress code is jeans and a nice top, look no further than the Sienna graphic top. 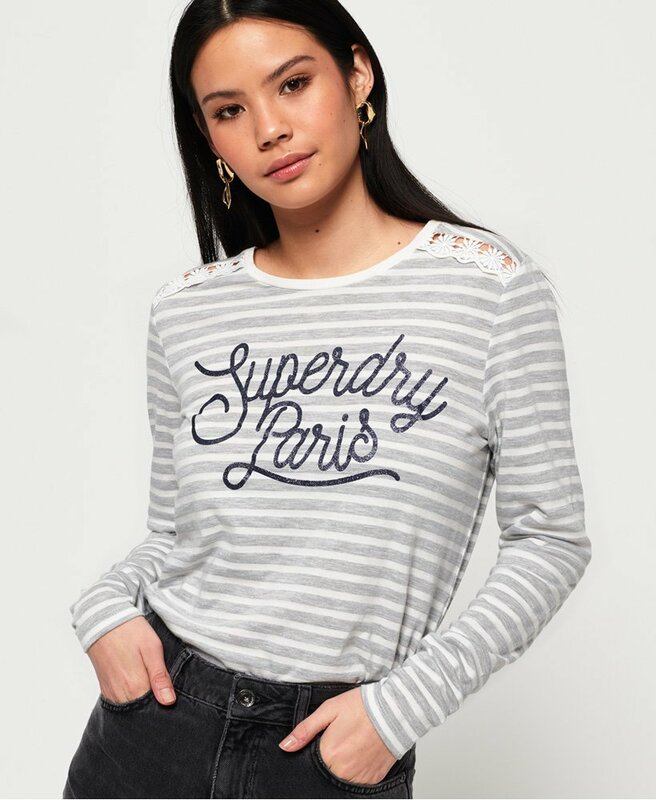 This long sleeve top features floral cut out detailing on the shoulders and hem, Superdry logo design on the chest and has been finished with a logo badge above the hem.